Bethesda’s Fallout 76 takes a bold new step in their series focused on exploring an apocalyptic wasteland. The development team sacrificed much of what they’re good at to focus more on a multiplayer experience. Fallout games shine in their storytelling. Fallout 76 takes a step sideways by throwing out what’s been in the past a well-written plot and instead focuses on exploring the unknown and discovering things with other people. In a series stepped in lore and history, Fallout 76 feels rushed. It’s rocky and unbalanced. Though it isn’t meant to be seen as their next core Fallout game, it doesn’t quite hit the mark for even being a game in between their other projects. It feels lacking and incomplete. However, with all that being said, there is a lot of fun to be found in 76. Bethesda is known for their rich stories, open worlds, and exploration. Where Fallout 4 and 3 shined with those details, 76 feels bland. The game is focused on multiplayer, being an online-only game, players can interact with others to complete quests, trade items, and take down the many interesting monsters roaming Appalachia. Coming from the team behind The Elder Scrolls Online, they managed to make the multiplayer aspect work but ended up taking away from concepts that make up a Fallout game. 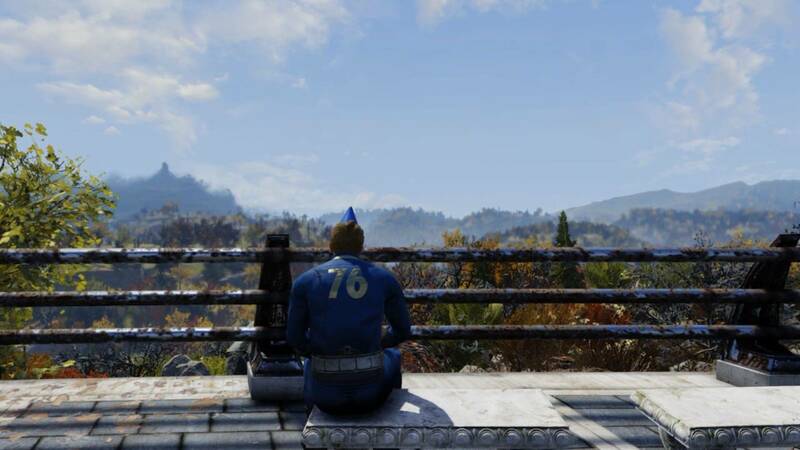 Fallout 76 is set 25 years after the nuclear war. You and everyone else you meet in the world, play as a resident from Vault 76. Being one of the first and brightest vault dwellers, you are tasked with settling the world and re-colonizing it. Aside from the real-life players you meet in the world, you won’t come across any other NPCs. Which is a bummer, although it didn’t bother me too much, I understand the frustrations. The story involves you following in the footsteps of your vault Overseer, whom you will never meet because there are no other characters in the world. While it is interesting to read her Holotapes and notes left behind, over time, it just becomes a chore. One of the more interesting things about previous Fallout games, even going back to Fallout: A Post Nuclear Role Playing Game was interacting with non-player characters. 76 loses that engaging feature by instead replacing everyone with Holotapes and Vender Bots. It’s annoying to find a tape, have it play and then be snuffed out by the sounds of fighting and moaning ghouls. The idea is adequate but lacking in any real impact with storytelling. A lack of NPCs leaves the world empty. However, that’s also one of the more interesting points of the game. Traveling alone ties in well with the post-apocalyptic setting. Previous titles see the player interacting with a number of characters. In a post-apocalyptic game, it is always reassuring to run into other people. But in Fallout 76, the exclusion of NPCs also adds a bit of mystery to the world. It’s a different take on the series that changes the gameplay and creates a new challenge for Fallout fans. Knowing you’re in it alone almost heightens the experience, making it more dangerous and intriguing. Turning on the classical music radio station and just wandering about the wasteland adds a mysterious aspect to the game. When you’re deep in the forest fighting enemies, after a while, you forget there are other people with you in the world. While it may be stunning to look at, the graphics feel off. There is a constant blur effect on things in the background and combat can get grainy when there are multiple enemies on the battlefield. The lighting effect is one of the better things about the environment and the sound design is great as well. The ramblings of Super Mutants and droplets of rain add detail to an empty world. Inon Zur’s soundtrack is excellent and adds a feeling of exploration and mystery to Fallout 76. 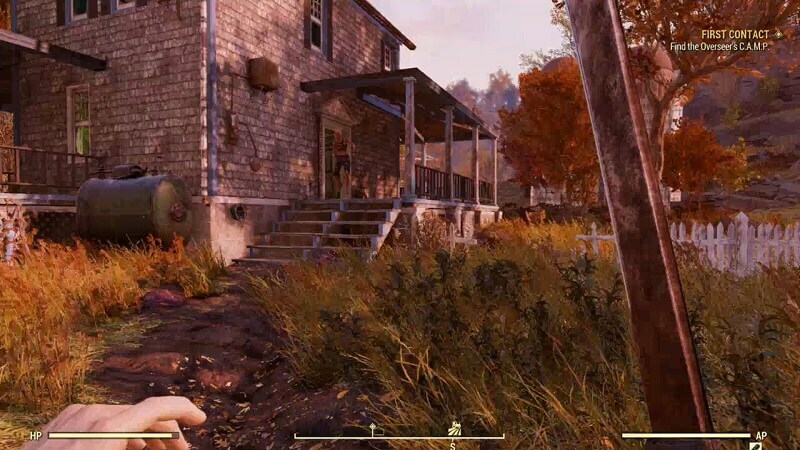 Fallout 76 is full of bugs. I’m not talking about Radroaches and bloated ticks. I mean the kinds that come with the title. 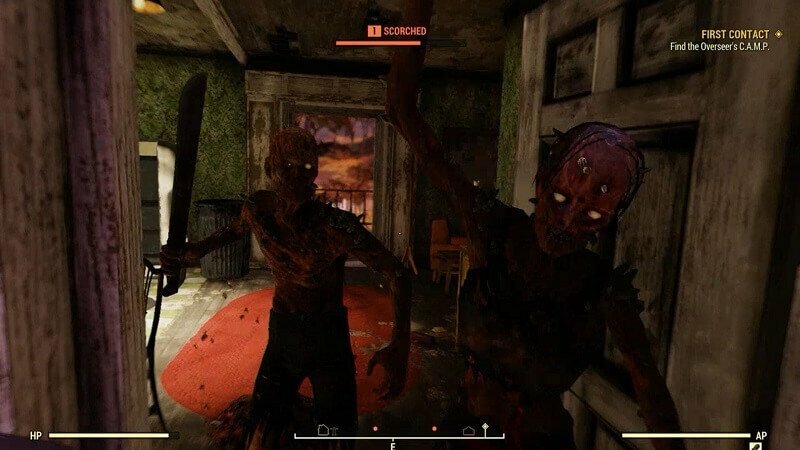 Yes, every Fallout game had kinks to work out when it launched, but a 50gb patch didn’t solve the ones encountered while roaming the wastelands of West Virginia. A few I came across led to me loading up the game and appearing as a floating head or nothing at all. To being killed when there are no enemies anywhere near me. It’s highly frustrating to play a game with so many numerous glitches. Each time I booted up the game I encountered a new bug. 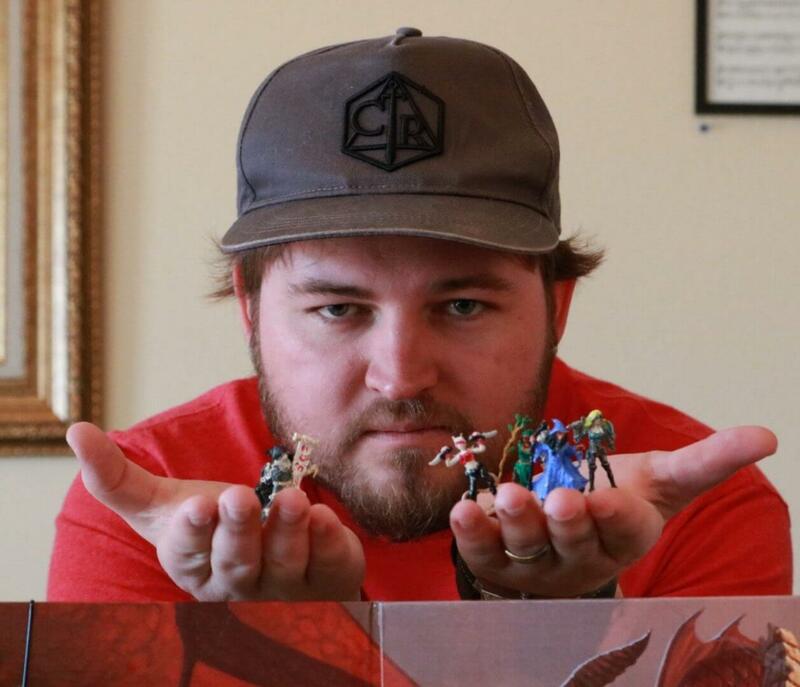 The monsters and combat are something to talk about as well. In previous Fallout games, the combat felt smart and refined. 76 somehow worked backward. Enemies will run at you while shooting the opposite direction and still manage to hit you. They then will run away and hide around a corner to completely forget you exist. It makes fights feel unrewarding. Ranged combat is unforgiving. Shots sometimes don’t register and the V.A.T.S. system has been completely revamped. In past titles, V.A.T.S. slowed down time tremendously when locking onto enemies. 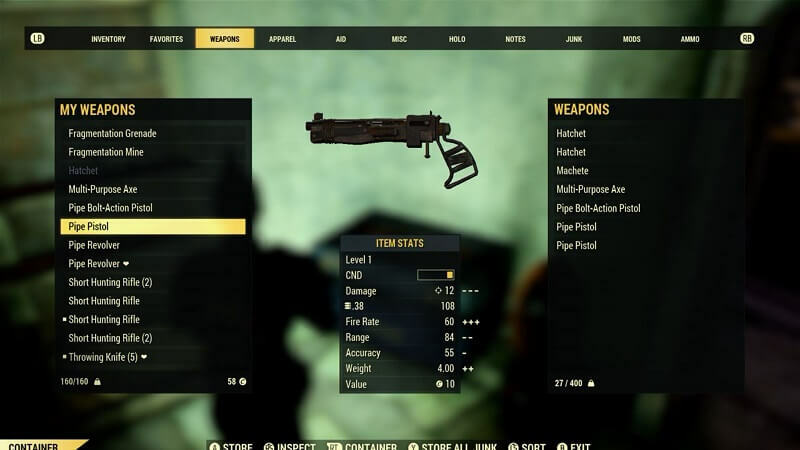 In Fallout 76, V.A.T.S. locks on to the creature but doesn’t change time too much. It only acts as a guide to hit, and even then, shots above 90% still missed. Players are better off getting close up and using melee weapons to kill enemies. Several times enemies would appear around me in an instant and even vanish while I fought them. 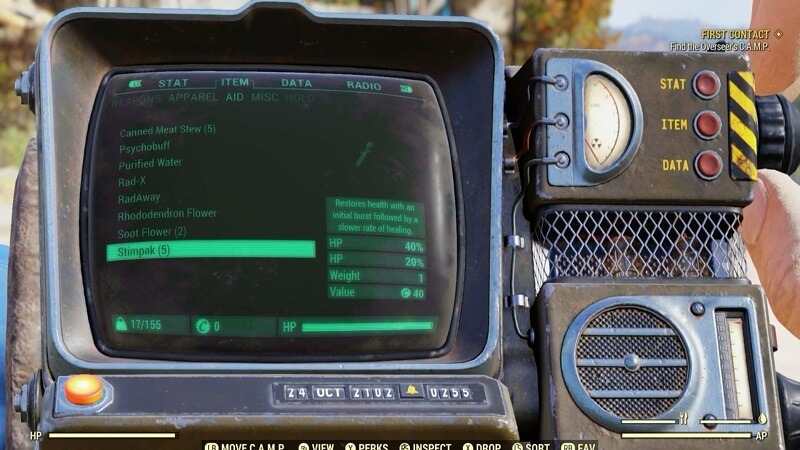 The storage feature in Fallout 76 is just not good. I found myself picking up junk, weapons, and armor only to drop nearly everything every time I entered a new building. Trading things for caps are something players will have to do often, but the exchange rate is not as high in past games. Caps are an essential resource in 76. Crafting returns in 76. 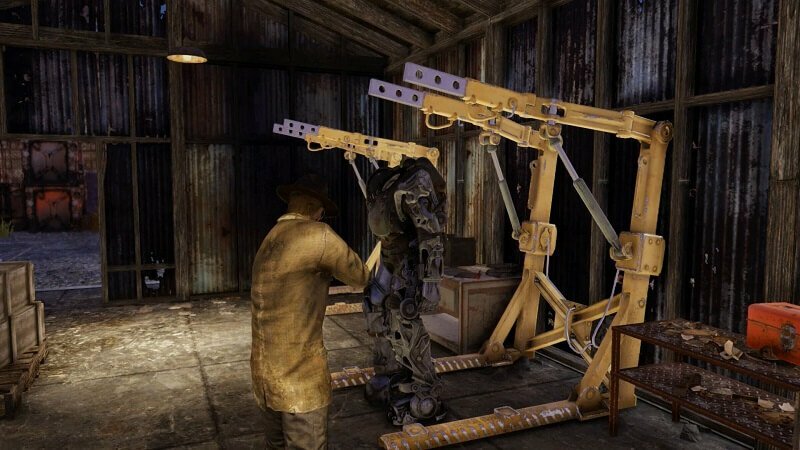 While it’s a great time to use all the junk you’ve earned in your travels, it doesn’t feel as necessary as it did in Fallout 4. It comes into play during side missions where players must build defenses against waves of enemies. It’s a fun mechanic for those looking to build a home base to store their gear. 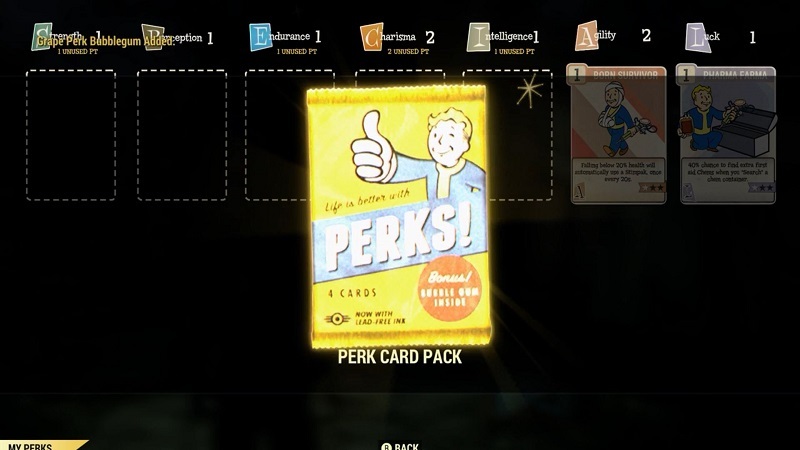 Bethesda changed the way players level up in 76 by overhauling the perk system. When players level up, they earn packs of cards to put towards their skills. It’s entertaining and the cards contain goofy art with a short sentence or two about what each one gives you. It’s different than past titles and works well. One new addition to the survival RPG is paying attention to your hunger and water meter. On top of making sure players don’t catch radiation poisoning, they also must make sure they are well fed and hydrated. It’s more a to-do list than a necessity. Every now and then players will need to eat some cooked meat and drink fluids to keep their levels up. It doesn’t offer a whole lot to the gaming experience. Where Fallout 76 does shine is in its exploration. With all previous titles, not knowing what was around a corner brought a sense of wonder to the world. Even without NPCs filling the map, it felt welcoming to explore a world where you’re the one soul making somewhat of an impact. It reminded me of the first Fallout. I just wish you could bring Dogmeat with you. Verdict: Fallout 76 misses quite a few marks when it comes to combat, NPC interaction, and its story. It’s riddled with bugs and glitches that may not break the game, but certainly, make it frustrating for players. However, there is plenty to see and experience in the world. Fallout is a series about exploration and discovery. It’s one of the aspects the game gets right. 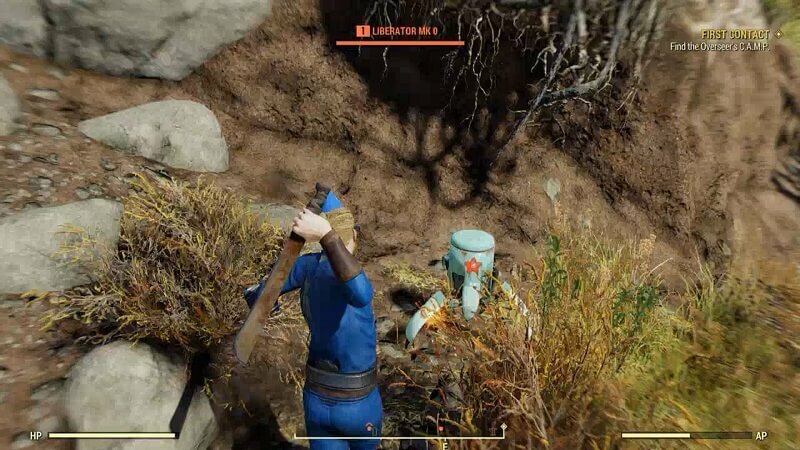 Fallout 76 shows that war does in fact change.